Warehouse Optimization Services are suitable for distribution environments and allows user to plan their product slotting. The slotting optimization software uses an advanced mathematical algorithm which considers product’s dimensions, weight and velocity. Services help to solve operational challenges such as inefficient picking operations, product damage, excessive travel to pick orders and running out of warehouse space. With mounting pressure on companies to fill, ship, and deliver product faster than ever before, it is critical to maximize facility space and labor activities. To capture that competitive edge, the consulting team at Bastian Solutions is leveraging, OptiSlot DC™ (OptiSlot), Optricity’s advanced slotting optimization software, to provide customers with a more efficient, cost effective operation through optimal product slotting. 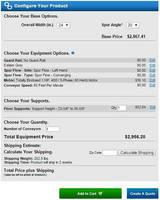 OptiSlot addresses the complexities of warehouse slotting by utilizing advanced mathematical algorithms. These algorithms consider a product’s dimensions; weight and velocity; physical characteristics of the environment including slot configurations, pick path and material handling equipment; and operational goals like pallet building, seasonality requirements and retail groupings. Bastian Solutions, headquartered in Indianapolis, Indiana, USA, is an independent material handling systems integrator with clients and offices around the world. Founded in 1952, Bastian Solutions has established itself as an innovator in the fields of material handling automation, supply chain software, industrial controls, and robotics. The company includes 17 domestic offices as well as 8 international offices across Australia, Brazil, Europe, Canada, India, and Mexico. For more information, visit https://www.bastiansolutions.com. 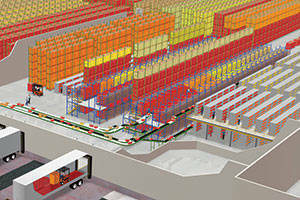 Optricity creates and supports warehousing analysis, optimization and performance improvement software. To develop its solutions, including the highly acclaimed warehouse slotting application, OptiSlot DC™, Optricity utilizes a blend of warehousing domain expertise, advanced mathematics and software engineering skills. The Platform of planning solutions includes slotting, profiling, integration, simulation, @Ease Warehousing Technologies™ and the Conductor for warehousing operations. For more information about Optricity, please visit https://www.optricity.com. 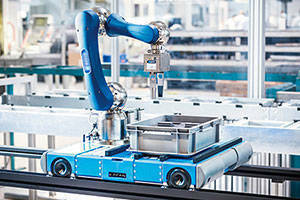 Robotic Document Inserter helps maximize uptime.